First Time Flyer at Turweston Flying Club - Kat Got Your Tongue? What’s on your list of things you’d love to try? Scuba diving? Skydiving? Driving Supercars? Flying a plane? 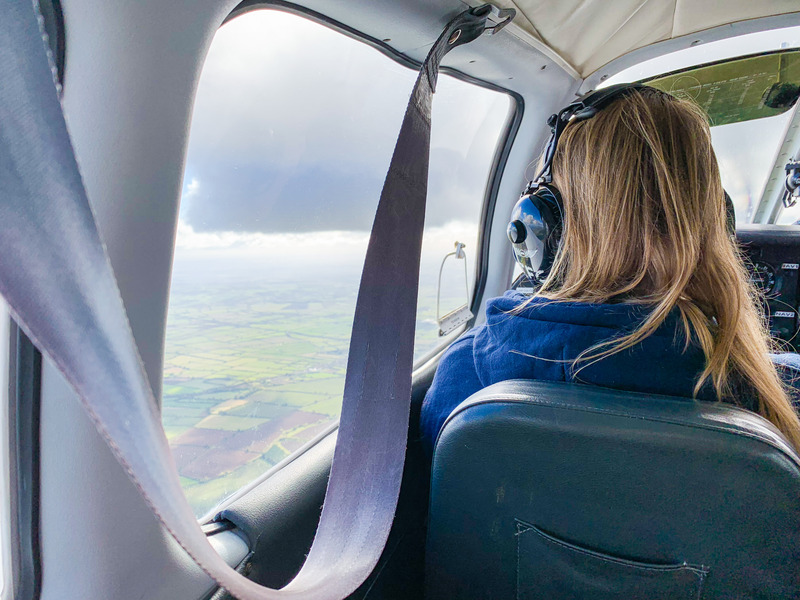 I don’t really have a list – but if I did, I’m pleased to have ticked off flying a plane for the first time! 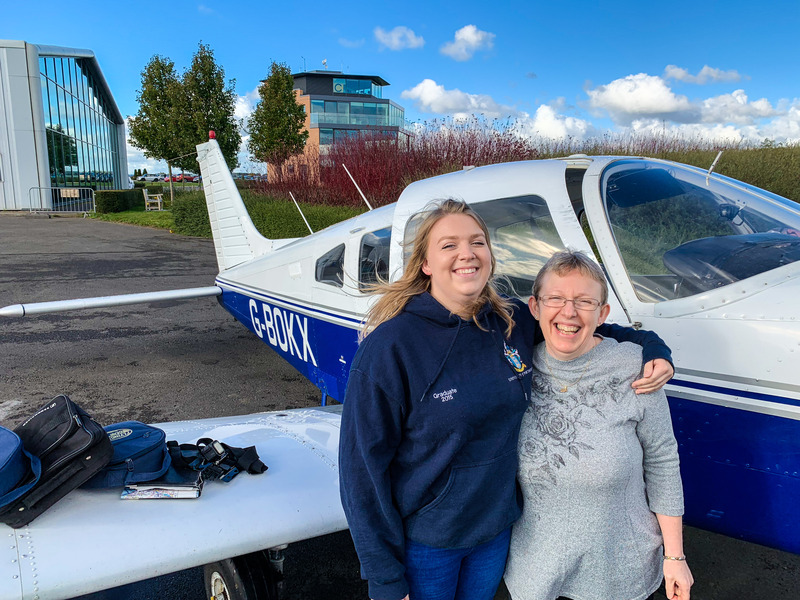 Last weekend I headed up to Buckinghamshire to see my mum and have my first flying lesson – a Christmas present from my wonderful mum last year. 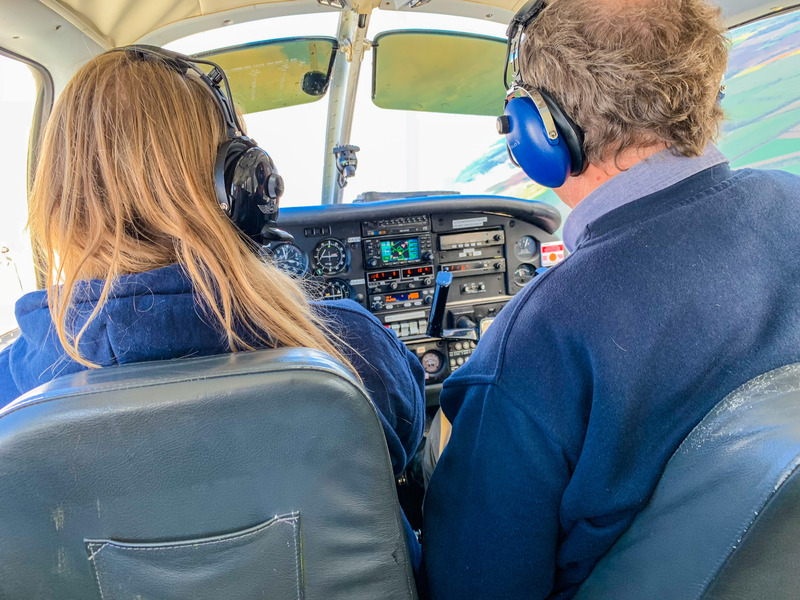 We booked a taster lesson at Turweston Flying Club (near Silverstone) and I was a little nervous, but mostly excited to jump in the pilot seat! 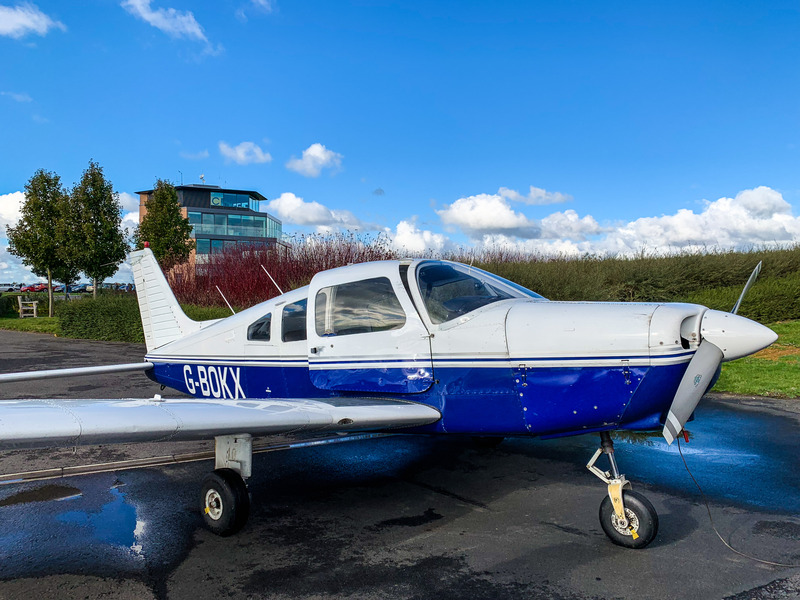 My lesson was in the G-BOKX PIPER PA28-161 WARRIOR II – a little plane with 4 seats and dual controls in the front. 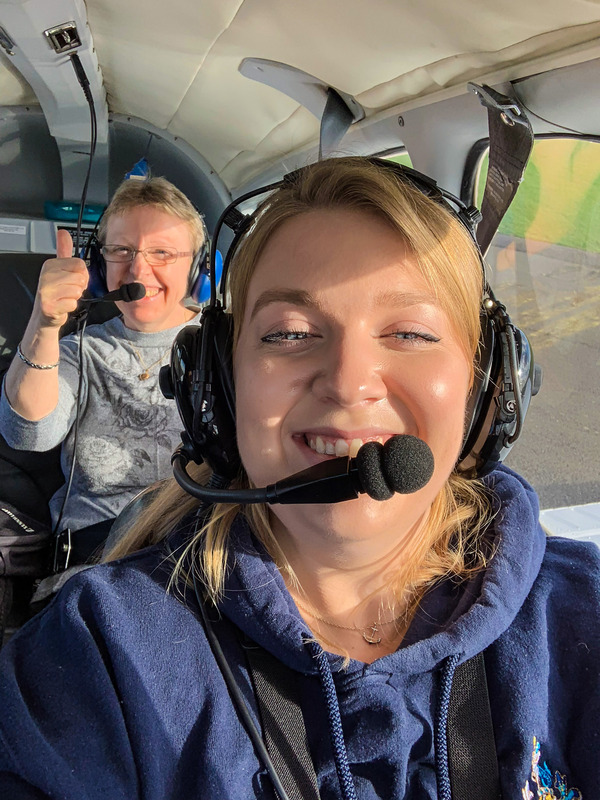 With my instructor sat next to me (in control for take off) and mum strapped in the back, we headed to the skies for 25 minutes of flying over beautiful scenery – thankfully it was a clear, sunny day! As soon as we were in the air, the controls were passed over to me and I was in charge. 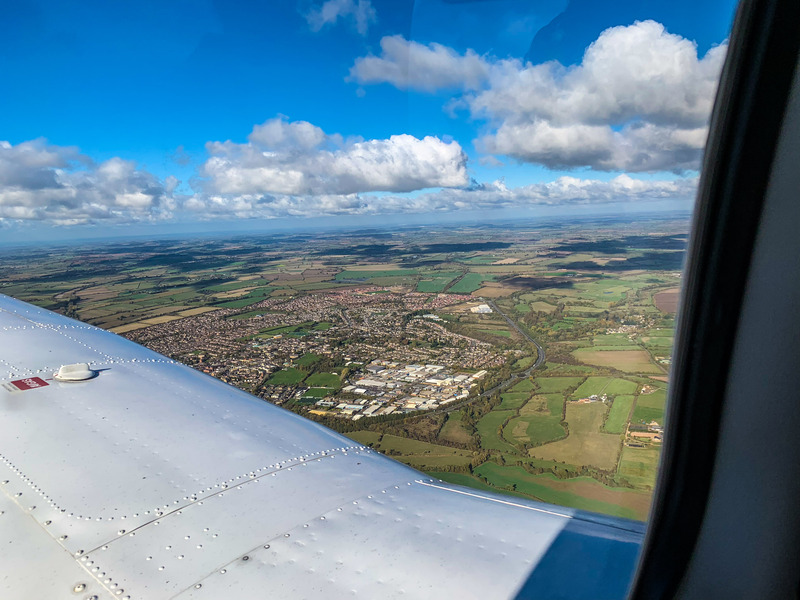 We flew over Silverstone, Buckingham, Bicester and Milton Keynes (plus a lot of fields), and it was actually much easier than I expected. 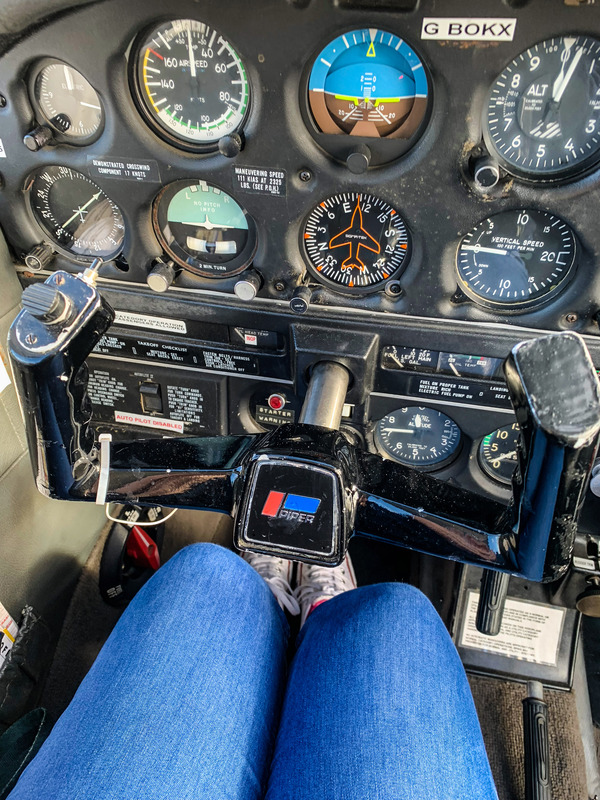 Controlling the plane was fairly straightforward, we completed a few turns and I was in control right up until the plane was on the runway – which was a little intimidating as a first time flyer! We had a fantastic time, and my instructor (Ian) was friendly, calm and a great teacher. Nothing about the experience was scary – in fact, it was actually very relaxing and a great way to take in the beauty of our country! 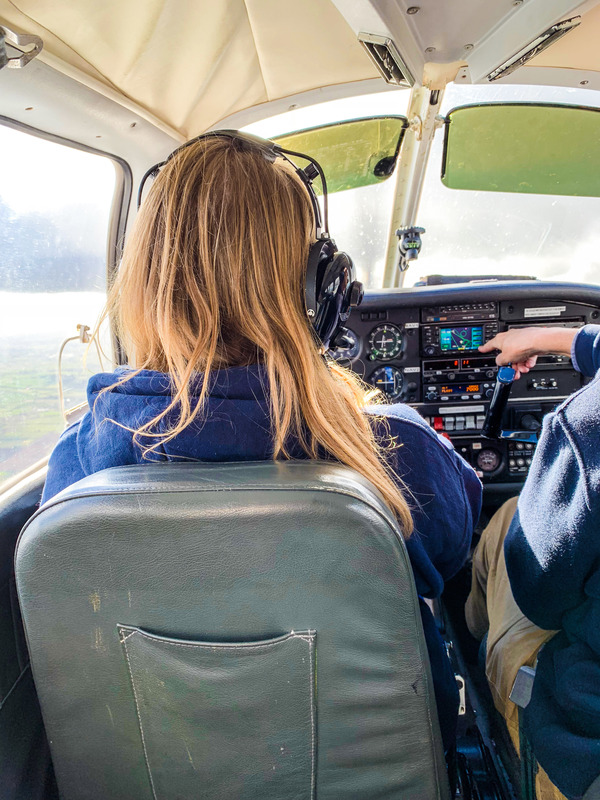 If you’ve ever fancied giving flying a go – DO IT. There are plenty of places across the country that offer trial lessons and experiences, and it is a fantastic activity to do with a friend or family member! 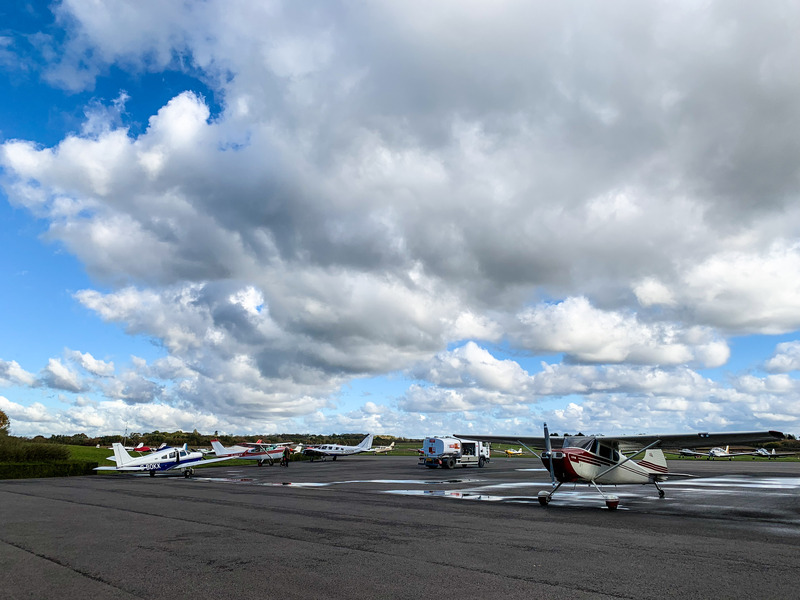 I was very impressed with Turweston Flying Club – they were very welcoming, and I’m sure we had longer than a 30 minute flying lesson (I’m not complaining!). With Christmas coming up, a flying lesson would make a great gift!